An individual who becomes aware of conduct defrauding the Government of federal funds may file an action on behalf of the Government to recover the fraudulent funds under the False Claims Act (“FCA”). Wyatt & Blake have represented numerous plaintiffs (also referred to as relators) in such proceedings. Qui tam cases are filed under seal and served only on the Government. The case remains under seal while the Government investigates and determines whether it wants to join the lawsuit. Relators are entitled to a percentage of the total recovery in the case and may also recover attorneys’ fees in some cases. The FCA is a powerful deterrent to fraudulent conduct as damages may be awarded up to $11,000 per false claims. 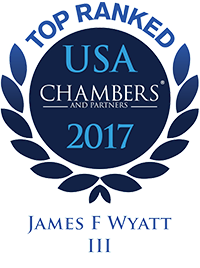 James Wyatt recently presented a seminar to counsel throughout the state of North Carolina concerning the North Carolina False Claims Act. Click here to access the PowerPoint presentation from this seminar. In addition, James recently co-authored two publications concerning the False Claims Act. These articles include a comparison of the NC False Claims Act with the federal False Claims Act. Click here to review a copy of these publications. Over the past 20 years, Wyatt & Blake have represented physicians, medical and coding personnel, physician practices, and employees of physician practices in lawsuits filed under the Federal False Claims Act, the Anti-Kickback Statute, the Federal Physician Self-Referral Statute (or Stark Law) and the NC False Claims Act. These cases have included issues of false and fraudulent billing of Medicare and/or Medicaid services, upcoding, improper referrals and illegal kickbacks. Wyatt & Blake served as co-counsel to qui tam plaintiffs in a lawsuit against Adventist Health System. This lawsuit exposed an alleged scheme by Adventist Health System to pay doctors excessive compensation in exchange for patient referrals to Adventist-owned hospitals, clinics and other outpatient services. In September 2015, the lawsuit was unsealed and Adventist agreed to pay a total of $118.7 million to settle the complaint. An article about this lawsuit can be viewed here. Wyatt & Blake also served as co-counsel in connection with a qui tam lawsuit filed against Health Diagnostic Laboratory Inc., alleging that illegal kickbacks were made to doctors in exchange for samples of blood being sent to HDL’s lab for testing. The United States intervened in this lawsuit and HDL entered into an agreement to pay $47 million to settle the lawsuit. Click here to read a Wall Street Journal article about the settlement. Wyatt & Blake are currently serving as co-counsel representing an emergency room physician practice in a qui tam action filed by that practice against one of the largest hospital chains in the United States. In August 2014, one of the defendants in this case, Community Health Systems, Inc., agreed to pay $98.15 million to resolve the False Claims Act against it. Click here for a news article about this settlement. Litigation against other defendants in this case continues. 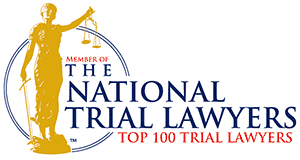 Wyatt & Blake are also representing plaintiffs in other qui tam matters that are filed under seal.